I moved to Atlanta in 2011 from Fort Lauderdale Florida. 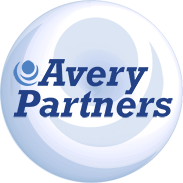 I came to Avery Partners seeking employment. I met Zz and from the very start Her energy was so positive. She got me an assignment with Peidmont Healthcare. She would always check to see how things were going with me. What I really love mostly about her she is very caring I had a personal Issue and was there for me when I need to talk. She is AWESOME!!! I was out of work a second time I called and she placed me with CHOA. She spoke so highly of me and now I am a permanent employee with ZZ help!! To sum it all up I would work for Avery anytime ZZ is not only a recruiter she is a friend and she is the reason I am where I am today!! I thank her for all her help and the support and encouragement she gave me. Thank you so much Zz love to the moon and back.